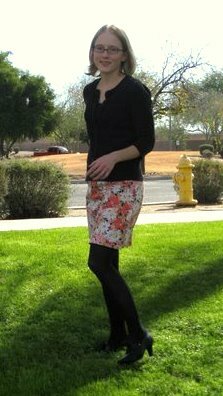 I finally wore this outfit that failed earlier because the skirt clung to the tights. 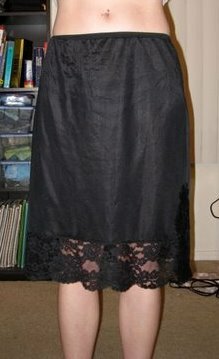 I solved the problem by wearing the lacy-hemmed below-the-knee slip, the slip that I still haven’t shortened. 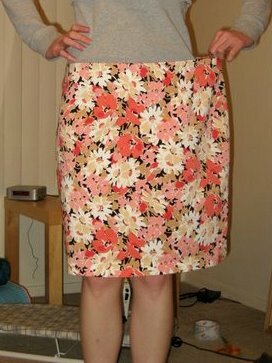 Why isn’t it sticking out underneath this above-the-knee skirt? An excellent question, with an excellent answer: because I’m keeping it classy, my friends, keeping it classy. January 4, 2011. 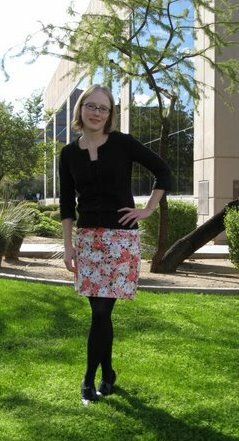 Tags: before & after, clothes, completed project, Goodwill, refashion, Target, What I Wore to Work Today. Pictures, Projects, What I Wore to Work Today, Words. 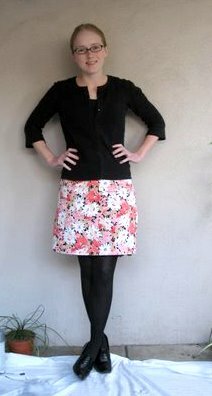 The floral with black looks great- and you do what you gotta do, right? 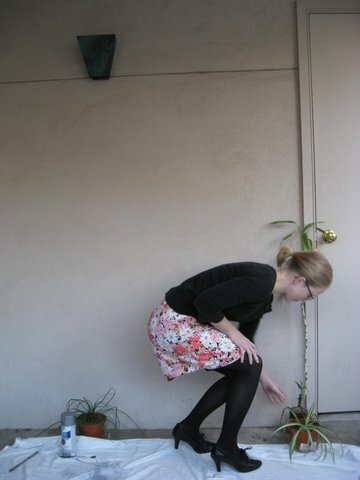 January 4, 2011 at 9:51 am. Permalink. January 4, 2011 at 1:23 pm. Permalink. January 10, 2011 at 7:04 am. Permalink.